Chef William Williams of Seasoned Provisions in Charlotte made this recipe just for the Chef Series we conducted last November. It is simply delicious. In a 3- to 4-qt. saucepan, combine wine, orange pieces, 1 1/2 cups sugar, the cinnamon, cloves, and 2 cups water and bring to boil over high heat. Add pears, reduce heat to a simmer, and place on top of pears to submerge them in liquid. Cook, covered, until pears are tender when pierced, about 15 minutes. Meanwhile, in a small bowl, whisk together cheese, cream, and 2 tbsp. sugar until very thick. 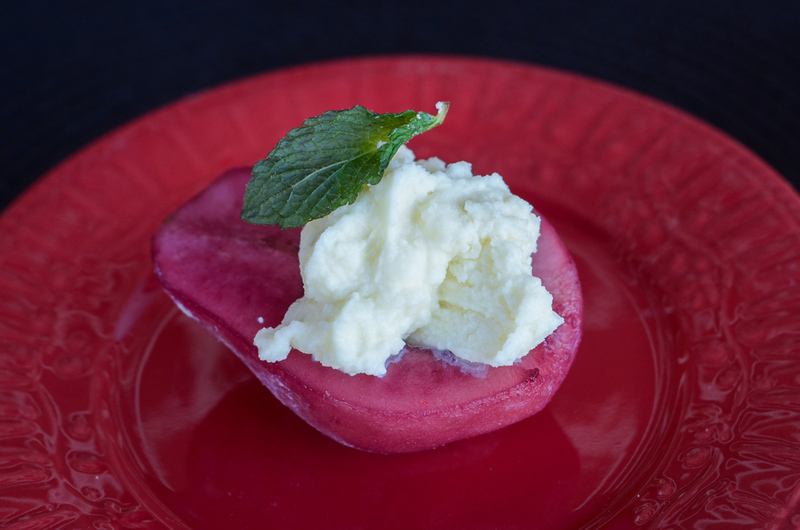 Serve pear halves in shallow bowls, each with about 1/4 cup of the poaching liquid and a dollop of the sweetened cheese and vanilla bean ice cream. Save remaining liquid for another use, such as making hot spiced wine, if you like.